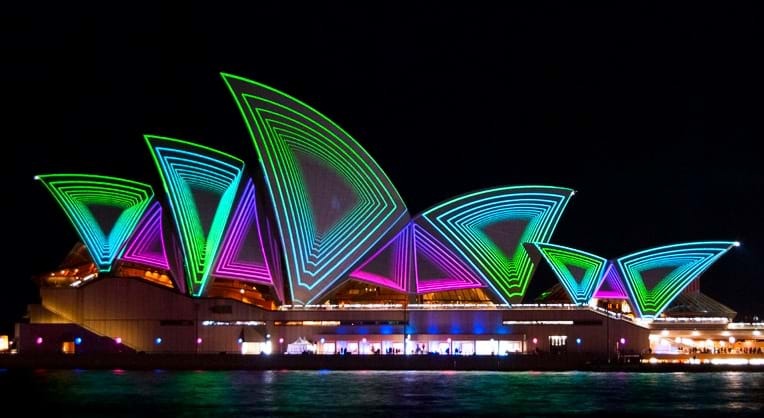 Score Yourself A 5 Star Staycation During Vivid Sydney! We hope you’ve had an amazing Easter so far, you deserve it! Looking for things to fill some extra time this long weekend? Why not head over here and fill out a few details and you could score yourself a 5 Star Staycation during Vivid Sydney?! It’s the three-week long festival where our iconic landmarks are illuminated in colour and the city transforms into a buzzing hub of art, music & entertainment. There’s so much happening at Vivid Sydney it’s easy to wonder, how could we possibly see it all?! Fill out your details here and you’ll go in the draw to win 2 x nights stay at the stunning Radisson Blu Sydney, so you can immerse yourself in everything Vivid Sydney has to offer. Oh, and we’ll hook you up with a $300 food & beverage voucher too.